Multistoryed spacious, architecturally beautifully designed building in lush green environment where nature's treasure mingle with the laughter of the children. Spacious and well- ventilated class rooms. Imaginatively renovated nursery section with provision of latest teaching aids, computers, projectors and music systems. Highly qualified, experienced and committed teaching faculty under the guidance and leadership of highly experienced,qualified dedicated and dynamic principal. 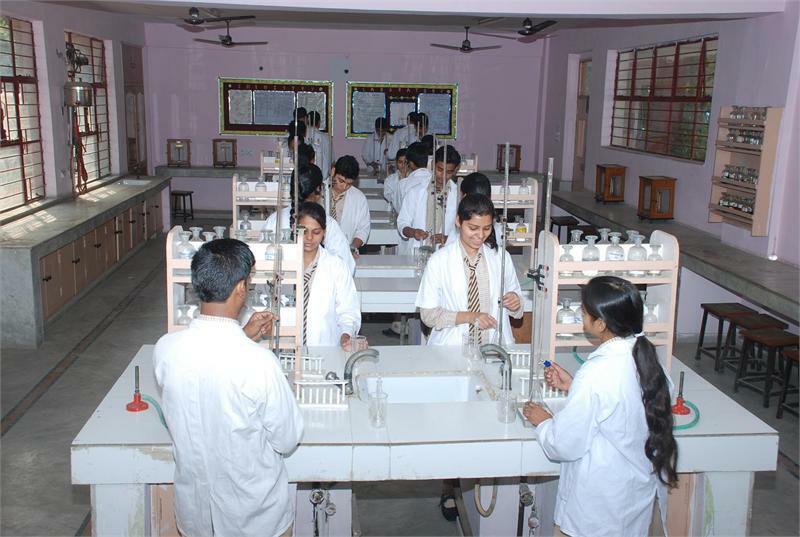 Well equipped Physics, Chemistry, Biology and Mathematics Labs. Ultra modern separate Computer Labs for Juniors & Seniors. It takes words to describe the world; hence spacious,well-stocked Library. Activity rooms for Music , Drawing and other creative ventures to stimulate the all round personality of the students. Unique curriculum to ensure effective learning. Computer aided teaching - learning through programmes like K-Seven, i-CAT, Maths,Science and Geometry Sketch Pad i.e. e-gurucool developed by NIIT. A big play-ground having facilities for football, handball,basket ball, lawn tennis, cricket, karate, skating etc. Indoor games facilities like Table Tennis, Carrom, Chess etc. Drinking water for students purified by a plant working on Reverse Osmosis System (ROS). School owned transport for Dwarka and adjoining areas.